Oh! So, so, SO Coco! Those of you who follow on Le Twitter or Le Instagram will know that I’ve been in Paris this week. 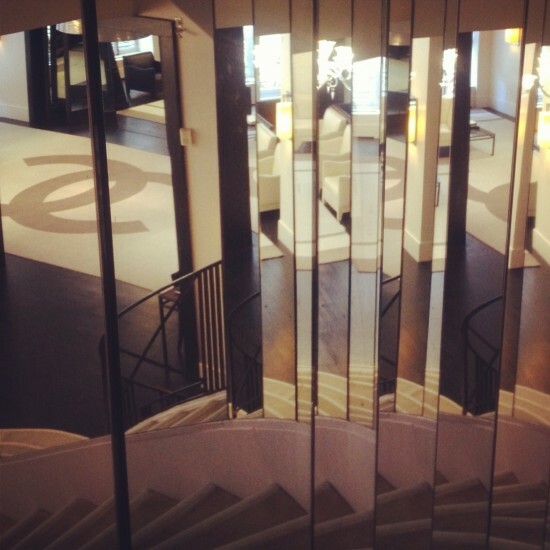 I hopped under the channel to attend the No5 Culture Chanel exhibition at the Palais de Tokyo and it was brilliant. You definitely need to have the audio guided tour to reap the full benefits, I’d say, because the amount of knowledge the guides have is just incredible. 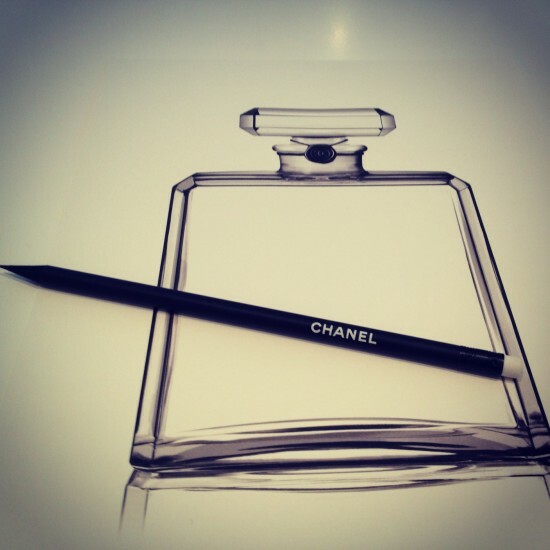 You get a lot of information to process but if you love style, love finding out about the inspiration behind styles, love Chanel…well it goes without saying that you’ll be absolutely engrossed. I filmed quite a lot of the exhibition and I’ve put together my favourite parts in a video – if you watch it then you’ll hear about some of the inspirations behind the Chanel No5 design and get a little peek at some of the exhibits. 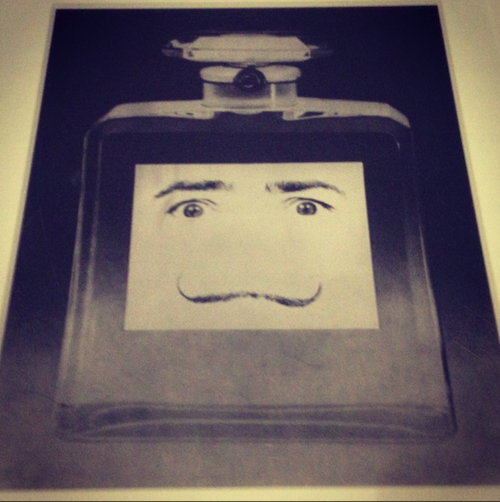 The history of the fragrance is really the focus of the exhibition, but I can’t very well repeat the whole thing on film! Please take a look – you can see my final No5 bottle design, and that is something to behold, let me tell you. 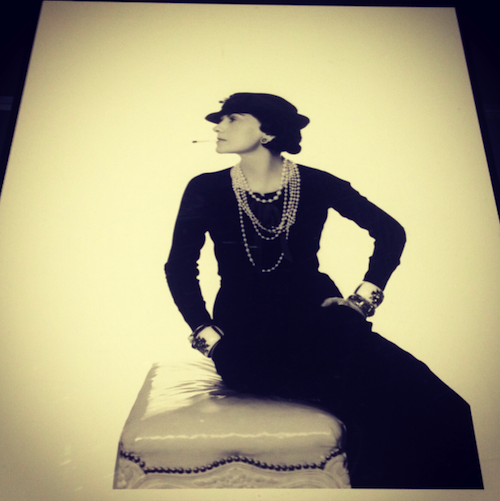 Whilst in Paris I also had the hugely brilliant opportunity to visit Coco Chanel’s private apartments on Rue Cambon. This is really quite a special thing – the rooms aren’t open to the public, ever ever – you have to be invited. I’ve filmed a little bit of that, too, and dropped in some photographs. It wasn’t what I had been expecting at all – the downstairs salon was very beige, black and white, very “Chanel” but upstairs in the private rooms the atmosphere was completely different. 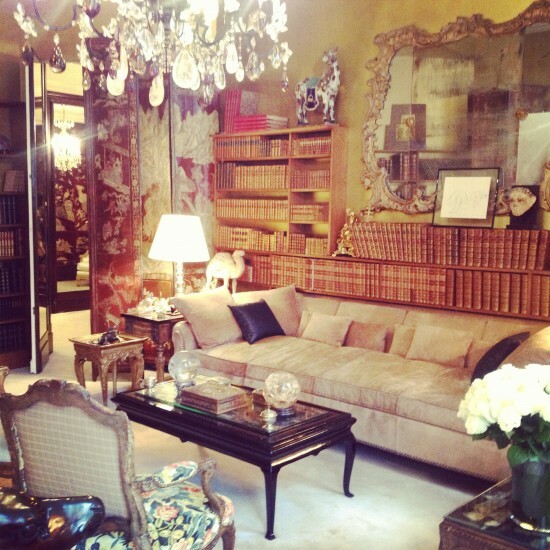 It’s like a little wonderland of artefacts and inspirations – really very charming and personal. 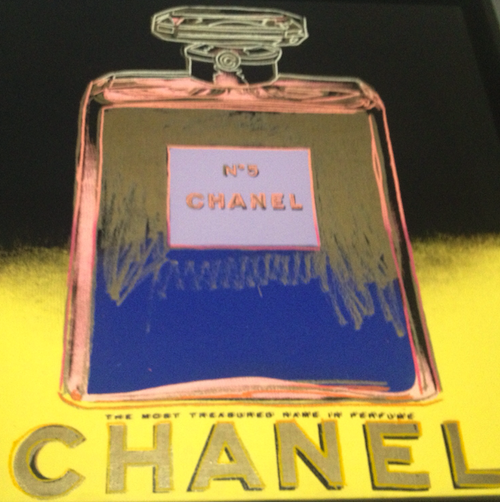 It hasn’t been touched at all since Chanel’s death and so you feel quite immersed in all of her quirks and superstitions. (She was very superstitious – there are two of absolutely everything. Everything must be one of a pair.) You can almost trace Chanel’s exact train of thought when you spot something that directly inspired a design – a pattern on one of the Chinese screens, for example, or the crystal camellias in the chandeliers. I would have loved to have spent a whole day in the apartments – they had a gorgeous feel to them, as though they were alive and buzzing with ideas and history. The rooms were only ever used for working in and entertaining and never for sleeping (Coco Chanel had a permanent suite at the Ritz across the road) so there’s a real sense of activity and creativity. I feel very lucky to have been allowed inside. I hope you enjoy the photographs – I wish I had taken more!